You want to enjoy the nice weather in Vienna and be active at the same time? 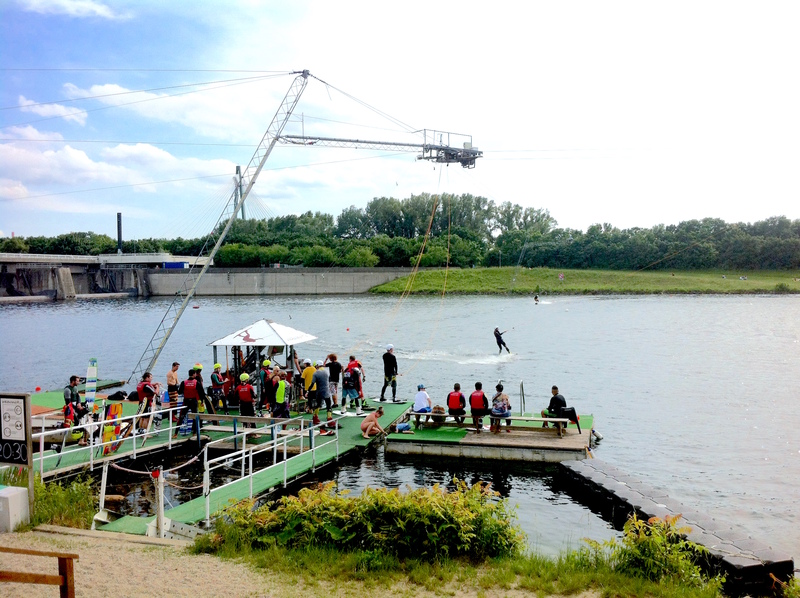 Here we have some suggestions for sport activities you can do in Vienna. The classical sport activity in summer. Vienna has a lot of open-air baths to offer. Check out our blog entry Swimming in Vienna for recommendations what baths to visit. Especially guys have a lot of fun exercising this kind of sport. Companions that do not want to try it out can simply enjoy the sun while watching their friends or enjoy some nice food and drinks in the restaurant next to the wakeboard facility. Running has become very popular in Vienna in the past years. One reason are definitely the many green spaces Vienna has to offer although being a big city. For suggestions where to go for a run in Vienna, have a look at our blog entry Vienna for Runners. The best place to go inline skating is the Donauinsel. Of course, you can rent inline skates at the rental shop. Moreover, in summer there takes place the popular Friday Nightskating with different routes through the city. For biking the Donauinsel is ideal as well. In the rental shop already mentioned you also can rent bikes. Alternatively, you can go around Vienna using a city bike.